The dammar gum is collected in south of Indonesia. The trees will scored a few days before the dammar gum is collected. The dammar gum is clear and glassy. 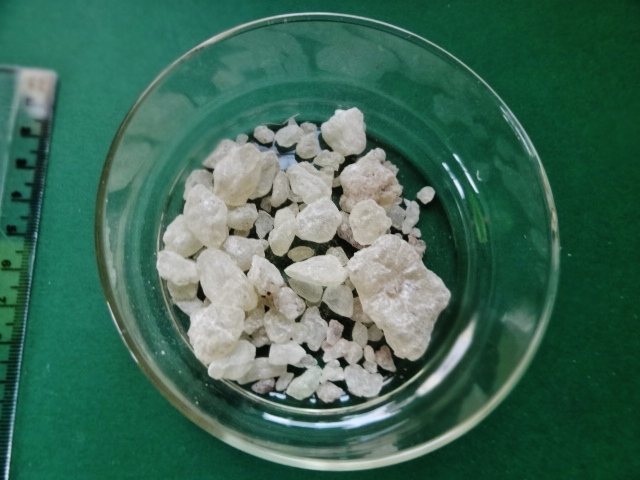 The dammar gum is often used as an incense resin and is traditionally smoky in Southeast Asia. In the Malay language means dammar "light and fire". Dammar gum has a bright, fresh-fine lemony scent. The dammar gum is also used as a paint raw material in fast-volatile, shiny coatings.